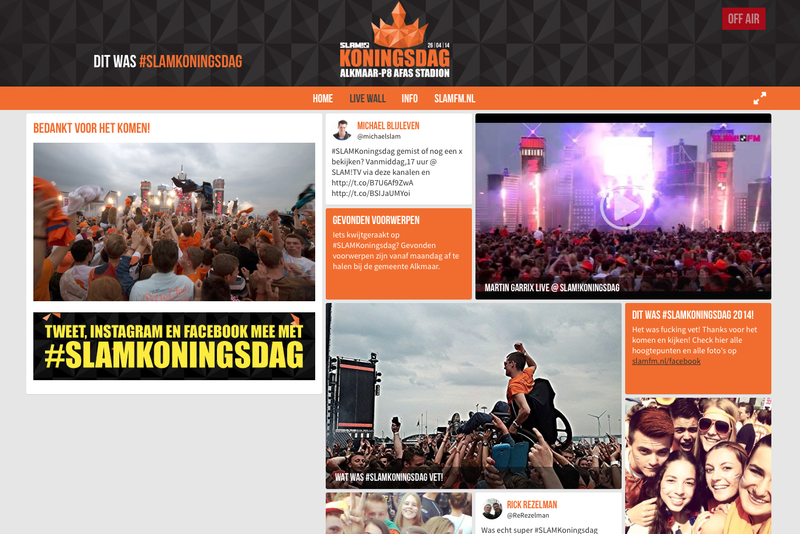 King’s Day is the biggest national event in Holland. You will find orange-themed music shows, fairs, flea markets and parties throughout the country. This year’s edition was held on April 26th. 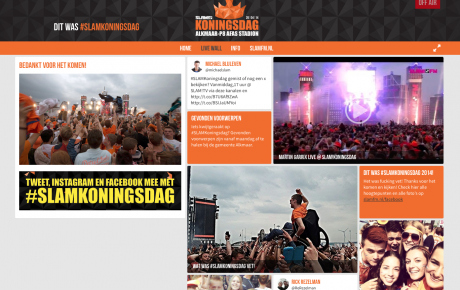 Dancefoundation provided two live wall websites for Radio 538 and SLAM!FM. 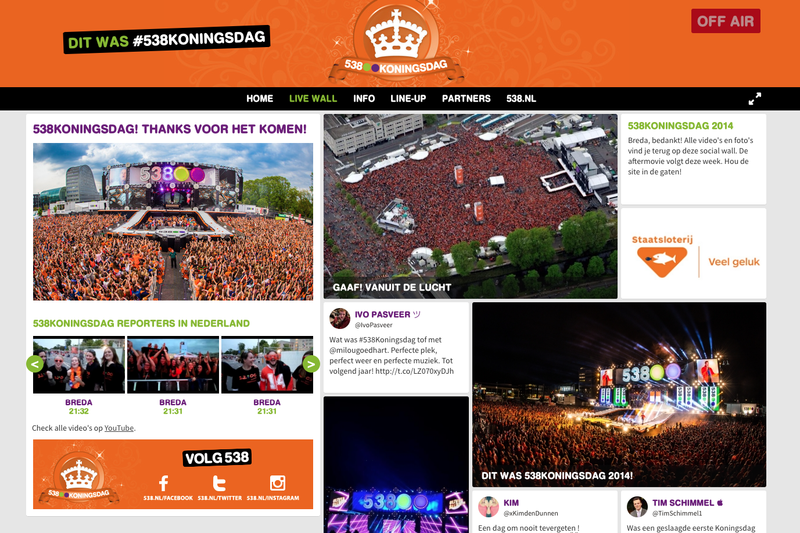 Radio 538 is one of the nation’s biggest commercial radio stations. 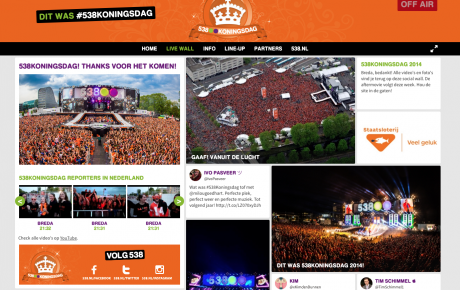 They organized a 40.000 capacity event in the city of Breda, called ‘538 Koningsdag’. SLAM!FM also is a commercial broadcaster, aimed at young people. Their event was held in the city of Alkmaar. Both events were broadcasted live, both in audio and video.